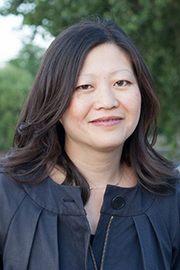 Ann Mah is a journalist and novelist, and the author of four books, including the national bestseller and Indie Next pick, The Lost Vintage. A regular contributor to the New York Times’s Travel section, her articles have also appeared in Condé Nast Traveler, Vogue.com, Food52, BonAppetit.com, The Best American Travel Writing 2017, The New York Times: Footsteps, and other publications. Ann received a James Beard Foundation culinary scholarship to study in Bologna, Italy. She has also earned the Level 2 Award in Wine and Spirits with distinction from the Wine and Spirits Education Trust (WSET). Ann grew up in Orange County and currently lives in Paris and Washington, DC.